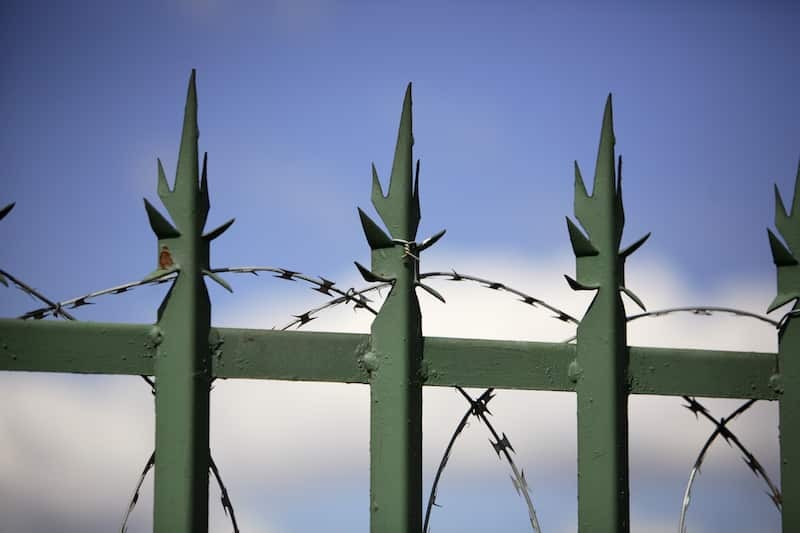 When it comes to preventing unauthorised access, palisade fencing is one of your best bets. Not only is it recognised to be one of the most durable and strongest fencing options on the market, but it also works to create a highly secure perimeter that is completely intimidating from the outside. Although we offer customisable solutions to adhere to your personal specifications, palisade fencing is most often fabricated from heavy duty rolled steel pickets. These are then individually attached onto steel rails. This gives it an anti-climb feature that is extremely hard to penetrate from the outside, making it an excellent option when trying to maintain security. Not only this, but because of our completely tailored fencing solutions, we can also add a spike to the top of each pale. This will further deter any attempts to breach the fence, and therefore add an extra layer of security to your perimeter. If you’re worried about surveillance, worry no more. The transparent nature of the fencing allows a complete view accessible from security cameras or authoritative personnel. They are also corrosive resistant and available in an array of colours. There really is no base we haven’t covered. Everlast services instill the kind of values that come only from being a family owned business. The community spirit is prevalent in all that we do, as we pride ourselves on becoming a friendly face throughout every phase of your project. We have had the pleasure of assisting homeowners with their properties for over 20 years. Because we oversee the entire manufacturing process, we can confidently stand behind the quality of our products. Every thing is made from our state-of-the-art factory in Hoppers Crossing, where it can be thoroughly inspected for quality purposes. When we build something, you can rest assured it is made to stand the test of time. Our tradesmen are highly capable, and consistently deliver a high standard of workmanship. They are always delivering work with the utmost professionalism and attention to detail.